Whether you are in manufacturing, distribution, or shipping, retail, planning and managing, the flow of inbound and outbound through the supply chain is always a challenging task. Because if it is dealt improperly, goods can be damaged. Plus, the size and capacity of a large operation can lead to disorganization in warehouse or distribution. For example, monitoring of temperature in a cooling truck is crucial because when you are shipping groceries, it is important to keep the temperature right. Welcome to the Industrial Internet of Things (IoT), the technology that is/will impact the way we do business. The Industrial IoT is upgrading business operations in many industries and one of the many industries is transportation & logistics industry that is leveraging the power of data. Industrial IoT is nothing but interconnecting people, process, data, and things. Connecting machine to machine, machine to person, and person to person. Increasing efficiency by utilizing data analysis and application of digital information. A key source for logistics to deliver fast and cost-efficient product at customer’s doorstep. The implementation scope of Industrial IoT in Warehousing is huge. Industrial IoT provides transparency into the supply chain, beginning from the order placement till the shipment delivery to the end customer or the 3PL warehouses. Due to dearth of visibility into partially used locations, Warehouses faces many challenges such as Offloading delays, lack of space, improper space utilization, limited scope for revenue increase. 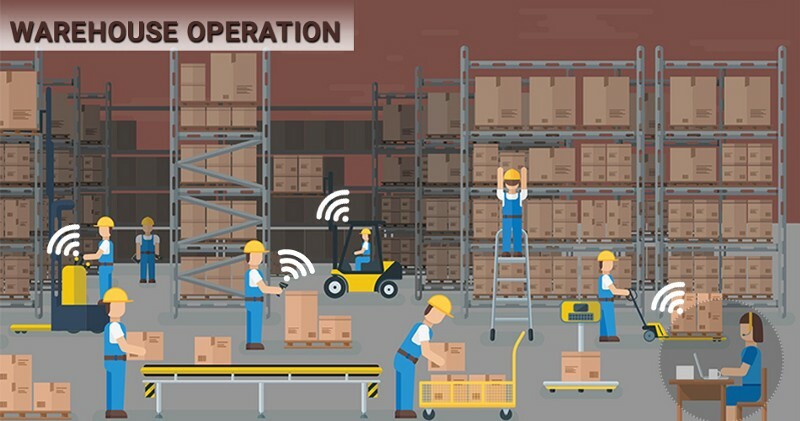 Smart-inventory management — Pallet or item-level tagging using low-cost identification devices pave the way for Industrial IoT smart-inventory management. Damage detection — Cameras can do damage detection by scanning pallets for imperfection. Real-time visibility — Prevents out of stock situations and manages the quality by ensuring the items are not misplaced. Accurate inventory control — Stock levels are updated automatically for accurate inventory control. Optimal asset utilization — By connecting machinery to a central system, Industrial IoT can monitor in real-time and know that assets are over-utilized. Predictive maintenance — These analytics can schedule maintenance appointments and calculate the expected lifetime of machines at their current level of usage. Health and Safety — Sensors can bind with radars or cameras can help prevent forklift accidents by scanning the environment for hidden objects or to slow automatically interceptions. Many of us today are familiar with being able to track the delivery of our orders to our doorstep, online. What we may not realize is there is a global effort underway to track freight transport across the full supply chain. Factory to ship, port to warehouse, delivery truck and eventually to its final destination. Fleet Management streamlines routs and utilizes access capacity even the transport themselves, be it truck or ship can be monitored and scheduled their own pervaded maintenance, increasing uptime and driver safety. 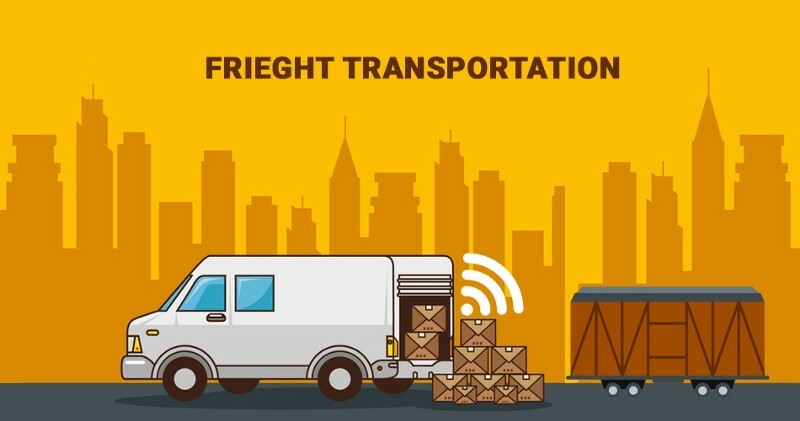 With the Industrial IoT implementation into your transportation business, you will know where your cargo is at any time and will be informed of its condition. Thanks to Biz4Intellia’s cargo tracking and monitoring solution, now you can be notified if there are any fluctuations in temperature and humidity inside a cargo trailer. Thanks to the connected world with which fleet owners/manager can easily manage their fleets. Improved transparency to your fleet operations lets managers to optimize routes which results in greater fuel efficiency. Tracking freight from point of origin through last mile delivery decreases theft. Enhances customer experience with detailed order tracking. Decreased theft save billions of dollars. Optimize mail pickup — Isn’t it great that you don’t have to go to your mailbox every day to check if there are any emails? Through phone notification, the owner can be notified their mails need to be picked up. Mailbox with mounted sensors that detect whether the mailbox is empty or full. If full, the delivery person can be notified to skip the mail. Notify customer of delivery — Let your customer know the expected time of delivery. The traditional delivery system had many flaws which resulted in unnecessary overheads. Now with the connected and transparent delivery system, you can deliver the good only when your customer is at home. Flexible delivery addresses — The owner can be notified the scheduled shipments and customers will be able to choose an alternative delivery location. Industrial IoT Solutions brings speed and efficiency to the trains you take to go for work, to the traffic light that make cities come to life, to the precious cargo for you and your business eagerly await. Think of it as your silent partner in every way. Faster emergency vehicles to scene save lives, powerful information systems change the world, transportation running on time brings you home faster. So, what would you do with those seconds, minutes, hours, and days? Industrial IoT giving you the time of your life.